What we left out of Earthpaste is just as important as what we put in. Earthpaste’s ingredients are all natural and from the Earth. No glycerin, no fluoride, no foaming agents, no artificial colouring. Earthpaste is simple: water, Redmond Clay, Real Salt and essential oils. Redmond Clay – Food Grade Redmond Clay® is a polishing cleanser that has been used for centuries to promote digestive health. Redmond Clay’s high pH helps counteract acidic levels in the mouth where cavities are formed. Purified water – Purified water naturally hydrates the clay into a creamy paste. Spearmint – Spearmint essential oils are known for their antimicrobial properties which makes it a great ingredient in Earthpaste. 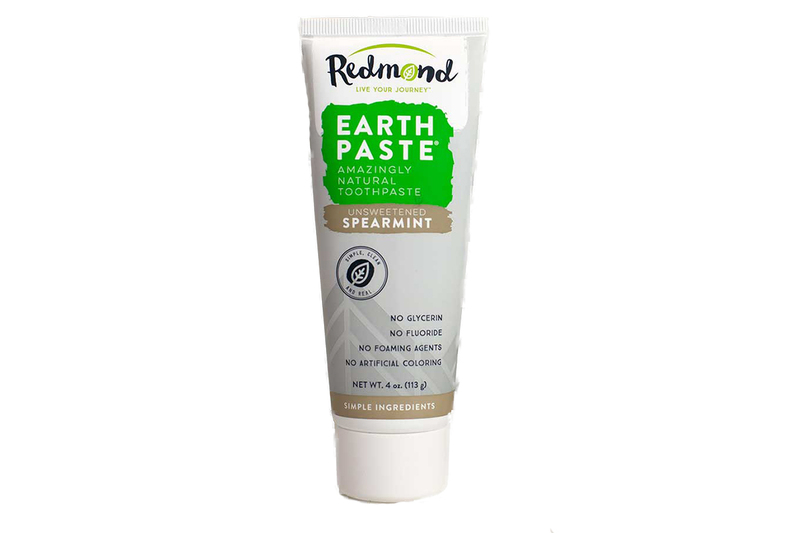 What we left out of Earthpaste Unsweetened Spearmint Toothpaste is just as important as what we put in. Earthpaste’s ingredients are all natural and from the Earth. No glycerin, no fluoride, no foaming agents, no artificial colouring. Earthpaste is simple: water, Redmond Clay, Real Salt and essential oils.